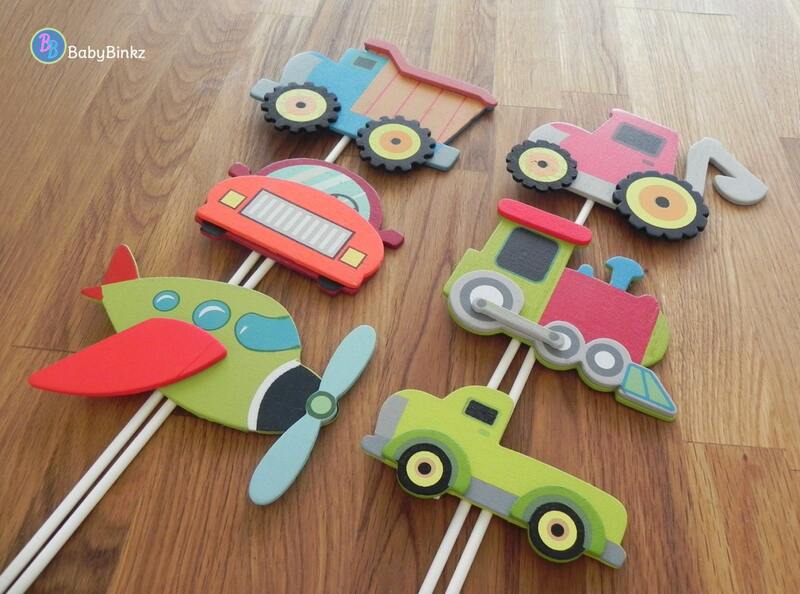 Our Planes, Trains & Automobiles Shape Cake Toppers will be the perfect addition to any transportation themed party! 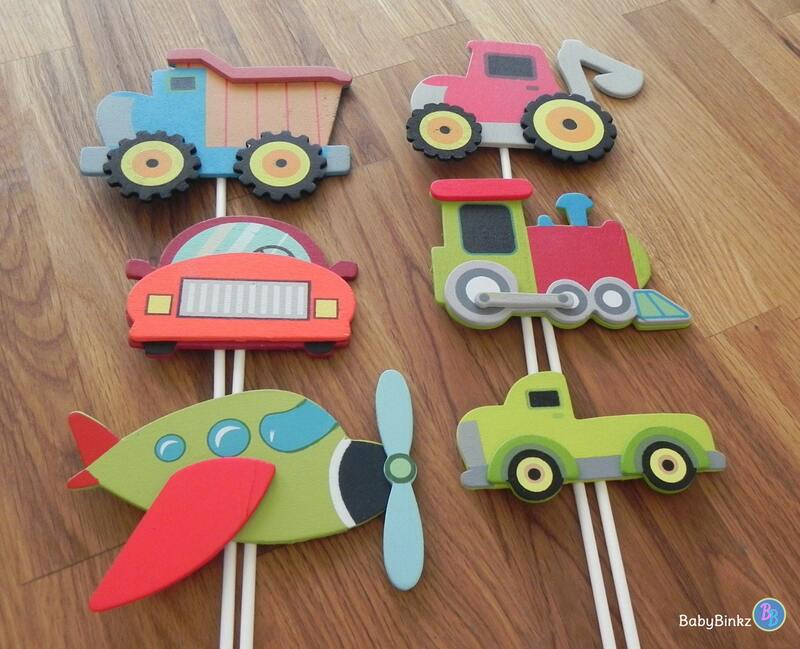 Each set includes 6 Painted Wood Shapes (approximately 3.5"-4" each) mounted on an 8 inch lollipop stick. They can be used as cake toppers, or to add a fun flair to other party decorations and centerpieces. All 6 of your toppers come fully assembled & ready to use! After the party, the shapes can be removed from the stick, and used for decoration or in other crafts.